Parents/guardians can gain access to their student(s) information online when they register for a Home Access Center (HAC) account. 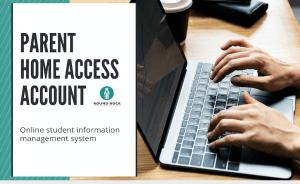 HAC is a secure online student information management system that provides parents/guardians and secondary students real-time access to class schedules, class assignments and grades, attendance records, transportation designation, food service PIN# and grade notifications. Parents/guardians must have an HAC account to request their student’s transfer for the 2019-2020 school year. Visit the HAC login page to open your account. If you need assistance in creating an account, please contact your campus office. A free HAC app is available to download on your mobile device. The integrated eSchoolPlus Family app uses the same login and password as HAC and can be downloaded from the iTunes, Google Play or the Amazon app store. You must have an HAC account to use the app. To learn more visit the Home Access Center and eSchoolPLUS Family App page on the Round Rock ISD website. If you have any questions or need help filling out the Talent Share Day Form, please e-mail Mrs. Choate at lorinda_choate@roundrockisd.org or call her at 512-464-4421 or send her a note in your child’s folder. Please fill out the form and send her any music by Friday, March 15th. We can’t wait to see the creativity of our Dinos, and everyone is invited to both the Talent Share Day on March 28th and the Talent Show on March 29th. Physically Fit – October 15 – December 12, 2018 and March 11 – May 8, 2019 every Monday and Wednesday after school. UIL – We are very excited that RRISD is offering UIL A+ Academic Competition at the elementary level again this year. Students in second through fifth grades are invited to participate in one or two events. The Round Rock Learning Community Meet will be on Saturday, January 26, 2019, and students who perform well at the RRLC Meet, will go on to participate in the District Meet on Saturday, March 2nd. Times will vary for specific events and more information will be coming closer to the competition dates. All practice sessions will begin on their specific days starting the week of October 15th. Students will practice for 10 weeks to prepare them for our Round Rock Learning Community Meet. Watch D.O.G.S. are fathers, grandfathers, uncles, and other father-figures who volunteer for at least one day each year at an official WATCH D.O.G.S. school. What do Watch D.O.G.S. do (while they are at school)? During the day, WatchD.O.G.S. may read and work on flash cards with students, play at recess, eat lunch with students, patrol the school entrances and hallways, assist with traffic flow and any other assigned activities where they actively engage with not only their own students, but other students as well. Calendar to sign up for days. If you are not staying a full day please put the hours in the calendar that you will be with us.  A+ Federal Credit Union has joined with Deep Wood Elementary school for an exciting opportunity that will give your child money in his/her own Green Apple Savings account! Thank you for supporting our Dinos! The Yearbooks are now on sale, please visit this link.